Konica Minolta brings the biggest ideas in business to life. An office environment conducive to concentrating on creative thinking. A free work-style that changes the very concept of an office. The elation of discovering new business possibilities. This is proof that bizhub is not merely a multifunction device, but is a knowledgeable partner. Its simple and intuitive operation provides access to diverse functions, raising business efficiency and quality. High-visibility icons that boost perceptibility, a finger-friendly control panel, and operating sounds considerate of the office environment. Entering the realm of human physical and aesthetic sensitivity by including a range of ideas that create a more pleasant workplace. Sound type in addition to volume can be adjusted with button operation. Such considerations help to create a pleasant office environment. We have strived after a machine which is quiet both on standby and while operating. Innovative effort has been applied to eliminate harsh or irritating sounds. With its strong cloud compatibility, bizhub adds a further dimension of connectivity. Whether for faxing, scanning, or printing, bizhub lets you access the required information any time, from anywhere. The workplace is no longer just the office. Print documents directly without using a printer driver. No lost productivity with double-sided printing, even for A3. Neither for A4, naturally. Nor for intellectual productivity. That's why we made double-siding our standard. Scan a paper document with bizhub and it is transformed into data. As well as PDF, bizhub can create files in Microsoft Office (OfficeOpenXML) format often used in business. Characters can be converted into text data, expanding the uses of paper documents. To reduce environmental impact, bizhub uses recycled materials in many of its components. In its functions, it incorporates ideas at every step that promote energy and resource saving. For example, when on standby it goes into Sleep mode, but the proximity sensor detects when someone is approaching and returns the device to recovery mode, allowing electricity saving without affecting operation. The Print Preview function prevents waste of paper due to misprints. As a result, the savings in electric power and other resources made by these functions are visualised in the ECO Indicator, raising the environmental awareness of everyone on the team. 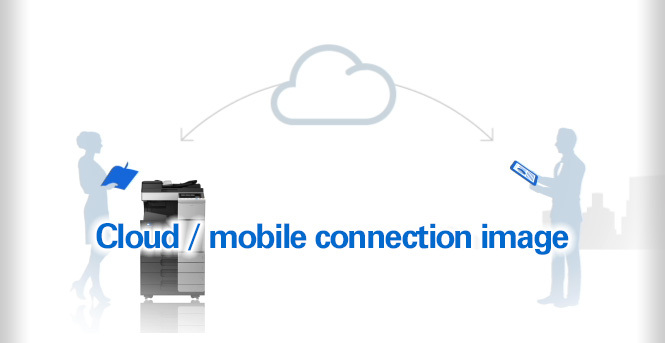 Konica Minolta technology meets your wish for effective resource use. To reduce environmental burden, three renewable materials are used in the machine exterior—bioplastic, PC/PET and PC/ABS. The renewable PC/PET, developed with our advanced chemical processing technology, combines superior flame-resistance and strength with esthetic qualities. Say goodbye to the waste and stress of copying mistakes. A preview of each page displays in real time when copying, scanning or faxing. This facilitates on-the-spot confirmation and revision. See how much everyone is contributing to the environment. Environmental contribution is visualised as a graph on the control panel to increase user conservation awareness. Toner and paper economy indicators are available for the machine, each division and each user. Cumulative power use can also be seen. Today, bizhub is working in offices around the globe. Finishing work faster than yesterday, Managing a task that was impossible yesterday, so you can try something that’s never been done before. Delivering improvement, evolution, and challenge to diverse business scenarios. Going forward, we hope that offices equipped with bizhub will create a succession of ideas, products, and services that create new value with the power to change the future. Find your sales representative. Click here to find your sales representative and contact information. KONICA MINOLTA, the KONICA MINOLTA logo and symbol mark, "Giving Shape to Ideas", bizhub, bizhub PRESS, Magicolor, PagePro, PageScope, Simitri, Emperon, S.E.A.D., Printgroove and Konica Minolta Optimised Print Services, and their respective logos are registered trademarks or trademarks of KONICA MINOLTA, INC.
All other brands and product names are registered trademarks or trademarks of their respective companies or organisations. The latest version of web browser is required to view this page. To view this page with Internet Explorer 6/7/8/9 may result of viewing problems. When you are using the Modern UI version Internet Explorer of Windows 8/8.1, you need the attached touch pen to scroll the window.